Adding siding to your South Farmingdale home is a good way to make it look new again. Just like a fresh coat of paint renews a room, vinyl siding can make a home look a lot newer than it actually is. The vinyl siding experts at Nassau Suffolk Exteriors can help you pick the right siding for the style of your South Farmingdale home. 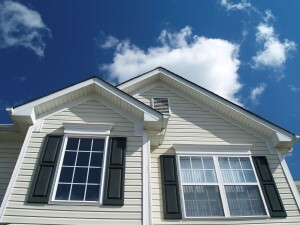 You can rely on our experience in installing vinyl siding to South Farmingdale houses to make sure job turns out right. Windows are a part of your home that must be chosen very carefully. You can save lots of money on your energy bills with the right replacement windows. Trust your next South Farmingdale home improvement project to the expert contractors at Nassau Suffolk Exteriors! Deck building and installation, fencing construction, siding installation, roofing, window replacement, landscaping and masonry are some of the many things your South Farmingdale Replacement Windows contractors are experts in. Contact us for a FREE consultation today! If you're looking for replacement windows, siding, or roofing services in South Farmingdale, call Nassau Suffolk Exteriors at 631-462-1383, or fill out our online request form.